Isabella Bird, an Englishwoman whose extensive travels and writings earned her the first female membership of the Royal Geographic Society, visited the Rocky Mountains alone during the autumn of 1873. 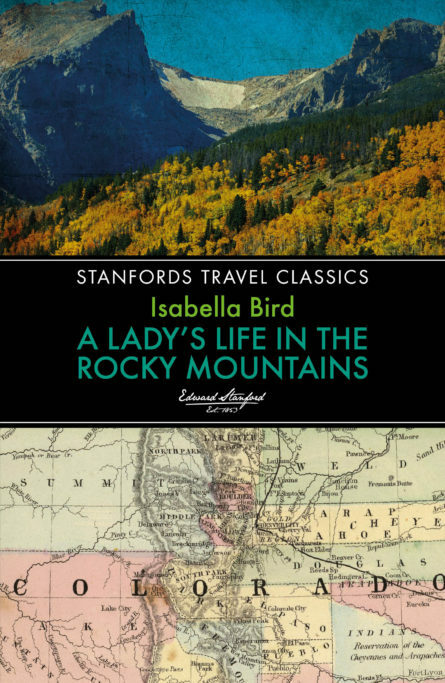 A Lady’s Life in the Rocky Mountains, gives a fascinating description of life in the untamed Colorado Territory at a time when it was only notionally under the control of the American authorities, having been brutally seized from the Indians. Her intrepid journeys through remote areas are relayed in the form of fluent, achingly beautiful, highly spirited letters written to her sister. They tell of magnificent unspoiled landscapes, of small remote townships, of her encounters with rattlesnakes, wolves, pumas and grizzly bears and her reactions to the volatile pioneer settlers as they came to terms with their isolation, poverty and difficulties as immigrants in the wake of the Civil War. These letters, first published in 1879, were enormously popular in Bird’s own lifetime and remain as wonderfully vivid and powerful as ever.